Yay! 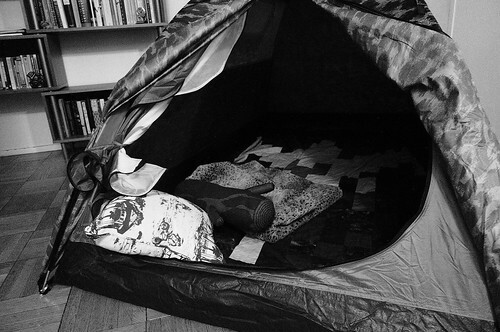 When we were kids we had a tent that fit over a bed. So the floor of the tent was actually a twin sized fitted sheet type deal and it would pop on the bed and stay put. Pretty much the best idea ever. No idea where it came from. Wonder if they make them in queen size. A tent a tent a tent a tent! pretty sure I need a log pillow.